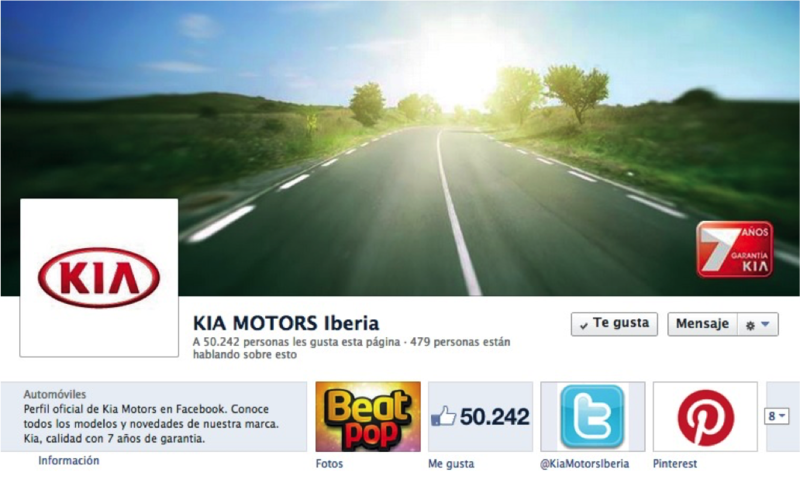 Kia Motors Iberia organized a quiz between agencies in 2012 with the 4 best Social Media Angencies in Spain. After 2 months working in different proposals they decided to chose Vintage Comunicación because of the creativity strategy presented and near team. Their objectives were implementation and development of a Social Media Strategy for all their digital channels. They wanted to increase their followers, but specially their low engagement they had at the moment. The difficulty was in the high competition among all the car brands in their segment. Our strategy was making an exhaustive content plan making the Brand more human and close, doing an excellent customer service through Social Media (fast and effective) and mix the car news with other things the Brand was involved as sponsor: Rafael Nadal, Super Bowl, European football championships, national Music Festivals, etc. After the first year working with them, we duplicated the followers and increased the engagement a 76%. When we left the Brand in 2015, Their followers were 5,6 times their inicial number and the engagement was increased more than 200%.